Spring is in the air and the songbirds are filling Rondeau’s forest with bursts of colour and song! 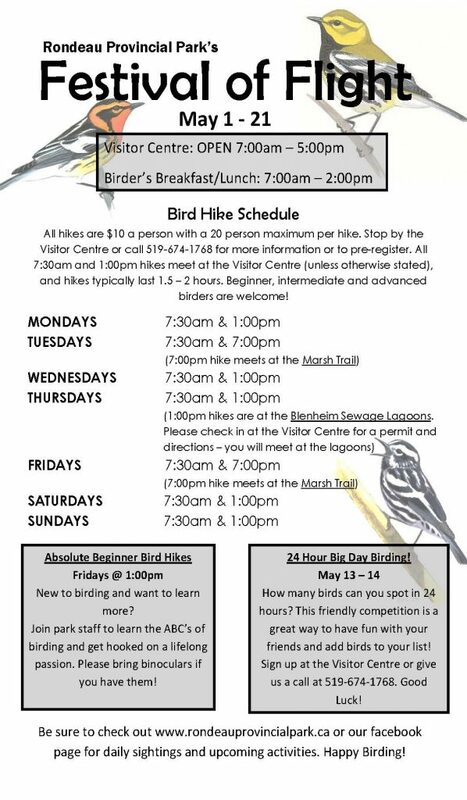 Join us as we celebrate the annual songbird migration with daily, expert-led bird hikes, birder’s breakfast & lunch, a 24 hour ‘Big Day’ birding competition and much more! For more information please call the Visitor Centre at 519-674-1768.